Among the many wonderful products that Lehnhoff’s Supply can provide you with is some natural stone. Among the many wonderful products that Lehnhoff’s Supply can provide you with is some natural stone. If you are thinking about sprucing up your Bel Air landscape this spring, then consider the merits of natural stone over other landscaping and hardscaping materials. Let’s say that you’ve already decided to order some stone from us after viewing our onsite stone samples – so, if you’re still looking for ideas, then you’re in luck. One way to use natural stone in your Bel Air landscape is to make it the focal point. When you have a larger backyard, you will need various features so that the eyes and mind of any visitors don’t grow bored. That said, when it comes to a smaller yard, you might want to use a smaller piece of stone. 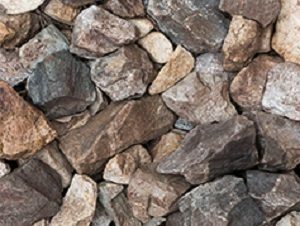 When you have numerous hedges and bushes lining your property, you will want to use natural stone to interrupt these landscapes features, so it doesn’t all look and feel the same. Chances are you will have pond liners near the edges of your pond to prevent the water from splashing out or overflowing during spring and summer storms. By using natural stone, you can hide these pond liners from sight. Your pond water might also grow murky over time, but instead of replacing or replenishing your water, consider using some natural stone. To maintain the illusion that you’re building an oasis in the woods, make sure you use stones that are almost all the same size but don’t have to be the same shape. For example, one can be triangular and black, while another can be spherical and white, and another could be rectangular and red. You might have a small creek or stream running through your backyard. This feature of your Bel Air landscape might not even need much attention – but if you’d like to create one, you will need to do something with natural stone. Whether you have a naturally-occurring creek or are looking to dig one, you can use the stone to build a bridge over it so you can get to the other side. Retaining walls are hardscaping features, but you can use them to enhance your Bel Air landscape as well. After all, your landscape might not be even and flat – you could have small hills hiding back there where you might not expect them. If you are concerned about soil erosion, then building a retaining wall might be a smart investment. This entry was posted on Thursday, May 17th, 2018 at 3:02 pm. Both comments and pings are currently closed.